The joint BSDB/BSCB spring meeting has yet again been a great and most successful event. As every year most of our Awards are announced on this meeting and the BSDB would like to congratulate all prize winners and awardees. The BSDB is delighted to announce Enrico Coen CBE FRS (John Innes Centre, Norwich) as the 2016 winner of theWaddington Medal. 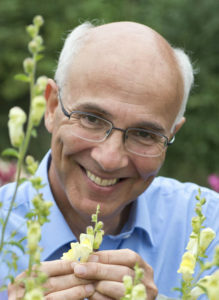 Professor Coen was awarded the medal for his pioneering contributions to understanding patterning and morphogenesis in plants, particularly snap dragon flowers. His work elegantly combines molecular genetics, diverse imaging techniques and computational modeling (see the Coen lab site). He is also well known for his popular science books ‘The art of genes’ (1999) and ‘Cells to civilisations’ (2012), and his painting, which has appeared on the cover of Cell and the walls of the Royal Society. The medal talk was a pleasure to watch and is now available on YouTube. It was a scholarly masterpiece of conceptual brilliance, presented with inspiring enthusiasm, enriched with beautiful images, illustrated with enlightening and entertaining movies of pottery (!!!) and computer models, and even spiced up with live experiments.It will soon be available on the BSDB’s YouTube channel. An interview performed by Cat Vicente during the Spring meeting is scheduled to be published in Development. As reported previously, the BSDB has introduced the Cheryll Tickle Medal, awarded annually to a mid-career, female scientist for her outstanding achievements in the field of Developmental Biology. The BSDB is proud to announce the inaugural awardee Abigail Saffron Tucker who gave her outstanding and memorable Cheryll Tickle Award Lecture which can be watched on YouTube. To read more about Abigail, please download the BSDB Newletter 2015 or go to the post on The Node. The details of this research are described in her 2015 publication entitled “Cadherin Switch during EMT in Neural Crest Cells Leads to Contact Inhibition of Locomotion via Repolarization of Forces” (Dev Cell 34, 421-34), and The Node has posted an interview with Elena. BSDB Waddington Award winner: Enrico Coen CBE FRS (John Innes Centre, Norwich) who gave a talk about his pioneering contributions to understanding patterning and morphogenesis in plants (available on YouTube), and an interview will be published soon in Development. BSCB Hooke Award winner: Thomas Surrey (Crick) who presented the lecture “Microtubule cytoskeleton dynamics: mechanistic insight from reverse engineering” that is available on YouTube. See more information about Thomas here. BSCB WICB Award winner: Lidia Vasilieva (Dept Biochem., Univ. Oxford, Oxford) who presented the talk “Towards understanding mechanisms of gene expression” that is available on YouTube. Read more information about Lidia here. 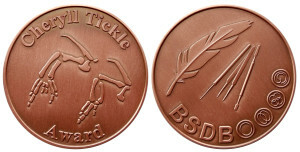 The BSDB Cheryll Tickle Medal winner: Abigail Saffron Tucker who gave her Cheryll Tickle Award Lecture about the evolution of shape available on YouTube. 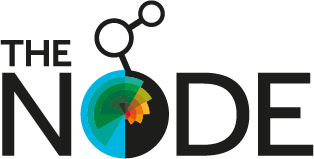 To read more about Abigail, please download the BSDB Newletter 2015 or go to the post on The Node. 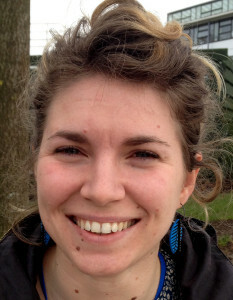 BSDB Beddington Award winner: Elena Scarpa (now Univ. 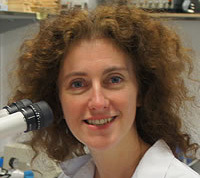 Cambridge in the group of Benedicte Sanson) for her work entitled “Cadherin switch during EMT in neural crest cells leads to contact inhibition of locomotion via repolarisation of forces” which was performed in the laboratory of Roberto Mayor (UCL). 1st BSDB PhD Poster Prize winner (visit to 2016 SDB-ISD meeting, Boston): Mathew Tata (University College London, group of Christiana Ruhrberg) – P117 “Regulation of embryonic neurogenesisi by germinal zone vasculature” – see interview in The Node.